Finding one’s authentic voice and maximizing the value that one brings to their role in business is something that every person struggles with. Unfortunately, many work environments make it difficult to get one’s voice heard. Over time, these conditions can create a cycle of perfectionism and self-doubt. 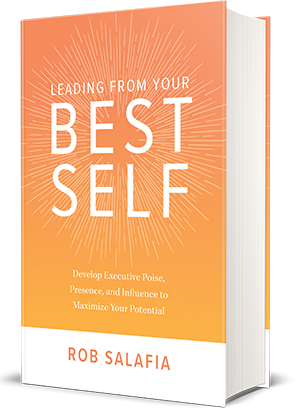 Based on his new book, Leading From Your Best Self, Rob will reveal ways to overcome these conditions and challenge both ourselves and the status quo to get our voices heard and maximize our contribution. 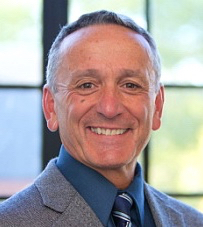 He will share a variety of stories that will bring this topic to life derived from his work as a master executive coach at the MIT Sloan School of Management’s Leadership Center. He will present practical strategies for developing a clear point of view and the courage to share it with others. We have all felt a time when we have been filled with confidence. With it, we can step into any situation knowing we are capable of handling it. We have also felt times when confidence has drained out of us. Nothing good can come when we are tentative and filled with self-doubt. While experience will tell you what you are capable of doing, confidence allows you to do it. Based on his years as a performing artist and experience as an executive coach Rob will reveal the secrets to discovering your keys to confidence. He will engage you with his energy, captivate you with memorable stories, and inspire you to step into any situation with poise, positivity and courage. We live in times of massive disruption and change. It is in such conditions where strong and purposeful leadership is truly needed. Using stories and examples from his experience as a master executive coach at MIT Sloan School of Management’s Leadership Center, Rob will describe what it means to step into the role as a leader of change. You will learn the importance of developing skills of resilience, self-awareness, and personal mastery. You will learn what it means to refocus the sights of others, inspire adoption of new ideas, expand into conflict, overcome resistance, foster a climate of collaboration and innovation, and generate a high level of execution from your teams. Seasoned sales leaders know the secret to success: a winning smile, a firm handshake, a kind and strong presence, and a pocket full of well-developed stories. Whether it is telling a story about how your product or service has made a difference or drawing out and listening deeply to your client’s story of need, narratives in many forms demonstrate credibility, create intimacy, communicate authenticity and establish trust. In this presentation Rob will call upon his 40+ years of storytelling experience to bring the power of stories to life. You will understand the “Why”, “How” and “What” of stories, learn what it takes to become a great storyteller, and apply this time-honored skill to enhancing your sales capabilities. Have you been promoted due to your individual achievement and results? Are you having difficulty letting go? Are you getting feedback that your style is not working? It has been reported that over 60% of newly promoted managers learn their jobs through trial and error. And that 42% have no clear idea of what was expected of them. It’s no wonder that making the shift from individual contributor or expert to leading others can be tedious and challenging for many. There must be a better way of preparing our future leaders for the road ahead. Based on his work as a master executive coach at MIT Sloan School Management’s Leadership Center, this presentation is designed to help mid-career and senior executives take a fresh look at what it takes to make a successful transition to leading people and organizations. Rob combines two decades of experience as a top leadership development executive with a well-established career in the performing arts. He has a passion for coaching leaders to develop their presence, tell compelling stories and establish authentic connections. He assists leaders to build emotional and narrative intelligence and share vision and strategy in a compelling and relevant way. He is the author of Leading From Your Best Self: Develop Your Executive Poise, Presence and Influence to Maximize Your Potential (McGraw-Hill, 2018). Rob enjoys stepping onto the main stage as a keynote speaker at leadership conferences. Some highlights include YPO, and YPO Gold, Sony Music Entertainment, ING Bank’s Annual Leadership Conference, Association for Training and Development, Vynamic, MITX, Symantic and Wharton Business School’s Leadership Annual Conference. In his work as an executive coach, Rob finds great satisfaction in guiding leaders through transitions to more senior roles, as well as coaching senior executives and leadership teams to enhance team effectiveness and prepare for strategic presentations. What’s unique about Rob is that for the first half of his career he was a performing artist where he traveled the globe delivering his unique, one-person variety show. He utilizes this experience in all of his leadership engagements. 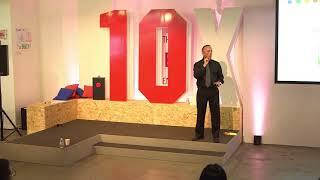 Rob is a lecturer in MIT Sloan School of Management and an MIT Leadership Center Master Executive Coach. As a speaker, learning partner and workshop facilitator, Rob has worked with Organizations and Fortune 500 companies including, Harvard Business School, SMU Cox School of Business, Sapient Consulting, Digitas, ING Bank, McKinsey & Co, NN Group, News Corp, American Express, Sony Music Entertainment, Thought Ensemble, Metro AG, Philips International, Merrill Lynch, and Fidelity Investments. Rob has a great grasp of his topics, and a very comfortable presence in front of large groups. The last session had over 100 “C-Suite” attendees and we were all very impressed with Rob’s presence, his effective use of humor, and his loyalty to the ultimate goals of the workshop. I would recommend Rob as a solid professional with great communication gifts and as a valuable team player. At ING, we have used Rob for a range of programs and interventions. Most notably, he plays a pivotal role in our Senior Banking Program, our flagship development program for the top 250 of ING. Rob is an important part of our leadership development strategy. I had the pleasure of working with Rob in planning our Fall 2015 Vynamic company meeting. These meetings are critical to maintaining our company’s culture and always come with a lot of high-level and detailed planning. On the day of the event, Rob facilitated the day brilliantly! Even outside of the formal session, Rob engaged with us, got to know us. It was a wonderful experience and would HIGHLY recommend Rob. 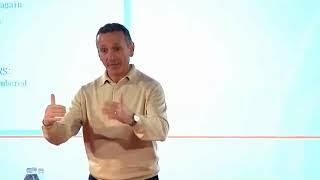 Rob is a wonderfully entertaining speaker that I have hired multiple times to present for an audience of executives that are not easily engaged. Each time we have asked Rob to speak, he has demonstrated a keen ability to capture his audience immediately through humor, instant credibility and passion. In addition, I find Rob to be refreshingly honest and a true professional. Rob has been working with us on our global emerging leader talent program for the past 3 years. Rob works with our groups on personal brand, storytelling and presenting. Rob is great to work with and I'm more than happy to recommend him. Rob really cares about listening to your requirements, bringing that brief to life and delivering on it. He's always curious, engaged, motivated, highly flexible and reliable and delivers what he says he will. We have used Rob to facilitate transformative learning experiences as part of leadership development programs for custom clients at SMU Cox Executive Education. His passion and authentic style allow him to connect very quickly with participants and create rich learning environments. If you asked clients “Would you recommend Rob to a colleague?” the answer would be a resounding Yes! Rob delivers truly excellent programs that engage and empower individuals to develop new skills and capabilities. Using stories and theater techniques, he has worked with ~30 students in an interactive workshop setting (both at Harvard and MIT) to develop their ability to be more effective speakers and develop confidence and capabilities as emerging leaders. For the three sessions he's delivered, the feedback has always been incredibly positive!